My first impression upon reading about the Kalamazoo BBQ was, are you serious? I scoffed at the notion that Kalamazoo grills are worth their price. Names like Gaucho Grills or Kalamazoo Hybrid Fire Grills do not sound expensive. In fact, during my first glance at the prices, I overlooked a zero. I thought, you know, $2,800 is reasonable for a heavy-duty grill powered with wood or gas. Looking closer, I realized the grill viewed cost $28,000. Whoops. Apparently, it is time to see the eye doctor for new glasses. Shaking my head in disbelief I assumed there is no way a backyard grill is worth the cost of a decent new car. Upon further research, I discovered there is a reason most writers hesitate to rely only on first impressions. The Gaucho Wood-fired Grill is freestanding with a rotisserie wheel and a side burner. In the best traditions of Argentina’s wood-fired style for grilling meat, the Gaucho incorporates unique features that elevate it far above a simple grate over a fire pit. 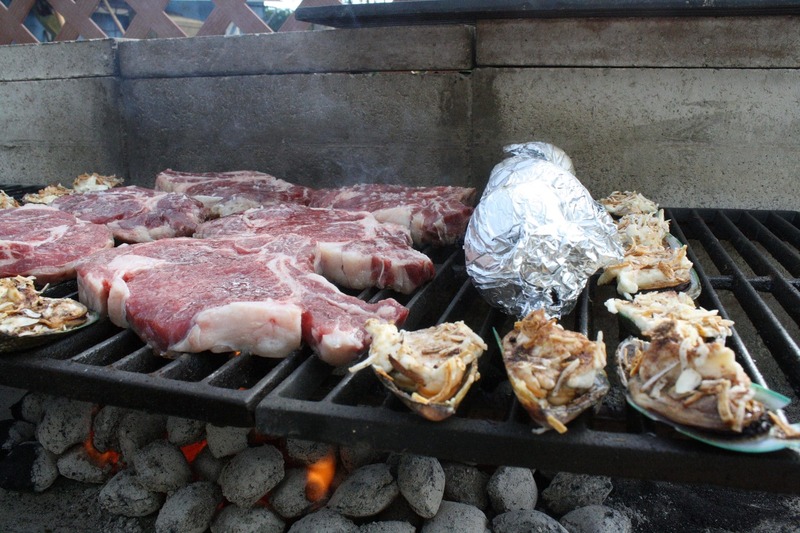 Any Argentinian chef will tell you the only way to grill a good cut of meat is using a live, wood fire. However, to my knowledge there are no rules against using modern technology to light the wood and regulate the heat. After all, waiting 45 minutes for wood coals to reach the best temperature to grill your dinner is bad enough. If you must rub two sticks together to ignite the fire, then that is a deal breaker in my opinion. Clearly, the folks at Kalamazoo Outdoor Gourmet agree with that assessment. A formidable gas starter lights the wood fire. Use the electric wheel apparatus, (called the rotisserie), to manipulate the grill grate higher or lower to get the temperature just right. This apparatus raises and lowers with the grill grate to increase your cooking capacity. This is an ingenious method to control heat intensity near your food. I wonder why the inventor of the wheel failed to include his invention when grilling his meat. Regardless, the rotisserie wheel makes it simple to grill your food to perfection. This three-and-a-half-foot wood burning grill has 726 square inches devoted solely to your cooking surface. That is a massive amount of room available just in case you need it. Are you kidding? Every neighbor you know, and many you do not know, will form a line at your back gate hoping to catch a glimpse of the Gaucho Grill. Of course, they also want you to feed them. Note to self: Lock the back gate if I ever get this grill. Once you finish grilling for the evening, let the ashes cool. Clean-up is easy the next day because you open the drawer under the grill to easily empty the ashes. The Gaucho Grill ties for the most expensive product offered by Kalamazoo Outdoor Gourmet, as it will set you back that spare $27,295 you have in your change holder. Believe it or not, the Gaucho Grill is not Kalamazoo Outdoor Gourmet’s crowning achievement. Of their two major product lines, the Kalamazoo Hybrid Fire Grill is at the very top. If you ever experienced that dilemma of what grilling method to use, then this grill is for you. The term hybrid refers to its unique ability to cook with charcoal, gas or wood. Or, get this, you can use all three methods at the same time, mix and match charcoal and wood, or any combination interchangeably. The hybrid grill starts with a gas base. If you prefer wood and/or charcoal, pop open the grilling drawer and load it up with the fuel you want. Switch on the gas burners below the drawer and start your fire. No matter what you plan to cook, this grill can make it a perfect feast. Reaching temperatures as low as 250 degrees or higher than 1,000 degrees, you can use the same grill to sear, singe, slow cook, roast, simmer, blacken or figuratively run a match under the cow. If you get a hankering for slow grilled fish, seared steak and zucchini cooked just to the point that its crunchy, you can cook all three foods on the same grill, at the same time, using vastly different temperatures. You heard that right, all three at the same time on the same grill! That is worth a chunk of change right there. To be precise, the heavy-duty marine-grade steel grill costs the same as the Gaucho Grill. It costs $27,295. 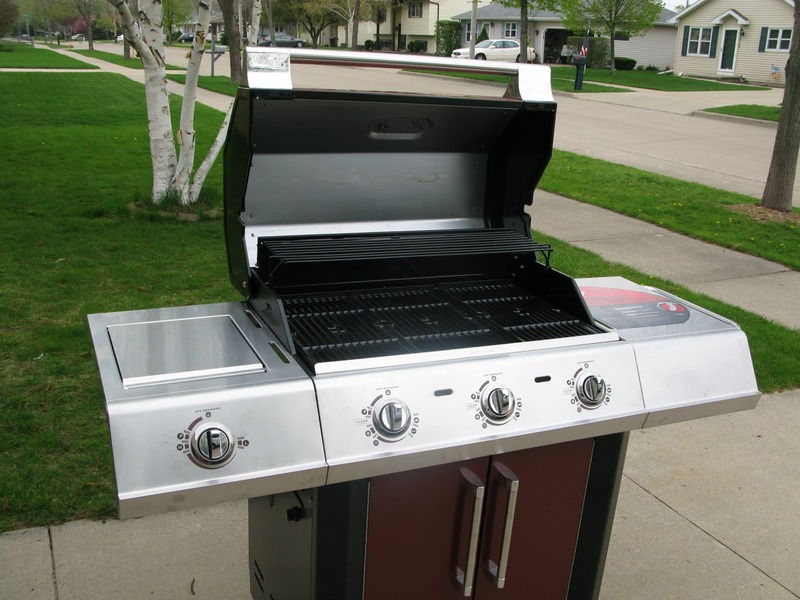 Providing the world with two of the finest, handmade grills is not enough for Kalamazoo Outdoor Gourmet. They have a slew of additional products including smokers, their popular pizza ovens, outdoor refrigerators and cabinets, along with accessories for everything. Custom grill grates are among the most practical accessories available. Meat Grill Surface – the laser grill surface designed for meat products makes perfect grill marks on your burger or your steak. 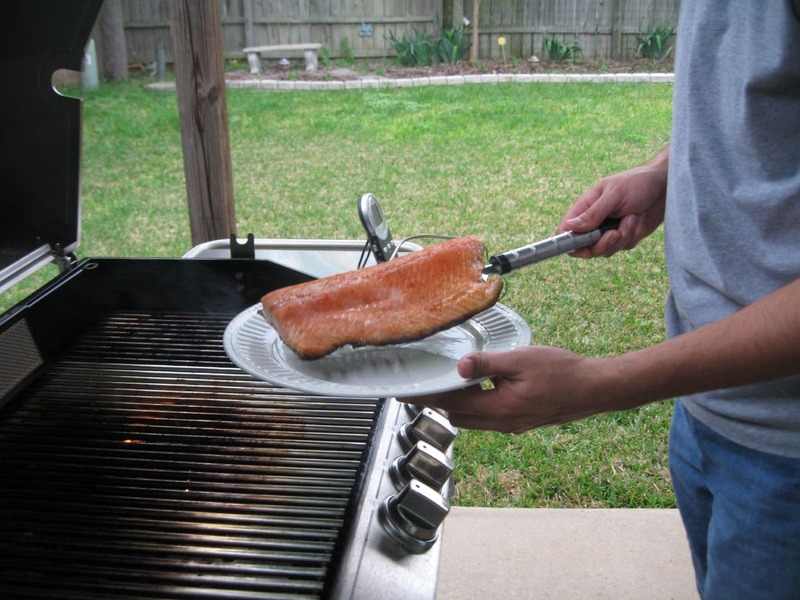 Fish Grill Surface – this grill has an exceptionally large surface area for delicate fillets. It can also be used for stir-fry. 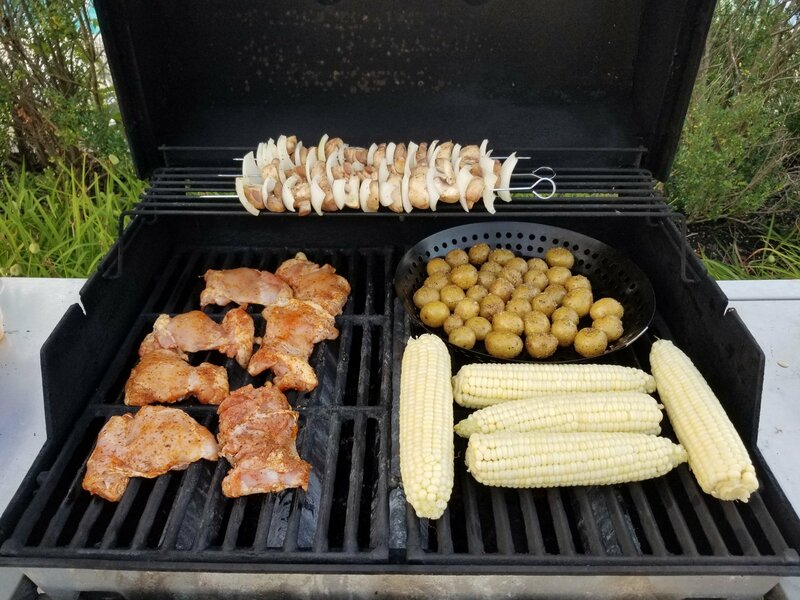 Vegetable Grill Surface – often a grill basket is needed when you want to grill your veggies This grill surface holds green beans with no fear they will fall to the coals below. Eggplant, asparagus and other vegetables cook perfectly without becoming one with the coals. Plancha Grill Surface – an excellent grill for brunch. It is a quarter-inch of solid steel meant to retain heat. Cook pancakes, bacon and eggs evenly on this grill surface. Are Kalamazoo grills worth the price? These handmade grills range in price from a low of $12,995 to a high of $27,295. When you open your grill door, the signature of every employee involved in creating your grill greets you. That is a refreshing sense of ownership and responsibility in a world full of big box stores where no one takes responsibility for much. It depends on your perspective. If you get the chance, try this grill and take it for a test run. It is doubtful the price will ever decrease for a Kalamazoo grill.